If you’re from Victoria, you’re a Victorian. If you’re from Tasmania, you’re a Tasmanian; or more jocularly you’re a Taswegian (in mocking reference to Glasgow’s inhabitants, known as Glaswegians). If you’re from Brisbane, you are a Brisbanite. And there are Sydneysiders and Melburnians. It seems that we have more non-standard demonyms than standard. Folk from Port Augusta may be Port Augustans but if you hail from Newcastle you’re a Novocastrian. What about Wodonga? Would that be Wodongonese? We are regularly labelled according to our origin. New Yorkers, Londoners, Parisians and Dubliners have no trouble with this. Romans – well, that can cause some historical confusion. After all, Israelis are not Israelites. And if you come from Phoenix, Arizona, you’re a Phoenician (nice job with the Fertile Crescent there, Arizonans). But what about people from Darwin? Are they Darwinists or Darwinians? Either of these demonyms sounds scientific and historical, even—if you’re a creationist—theoretical. How about Perth? can we call its denizens Perthlings? Can the people of Adelaide be segregated by gender into Adelads and Adeladies? And should the inhabitants of picturesque Hobart be Hobartists? What is a demonym? This is a word form sometimes known as a ‘gentilic’; the name we give someone residing in, or originating from, a certain locality. Usually we derive demonyms from a place name (e.g. Russians from Russia, Spaniards from Spain), unless the place and the people have alternative names (e.g. Dutch from Netherlands, Khmer from Cambodia). Thanks to Greeks from Greece, we have ‘demonym’ from the Ancient Greek word for people (demos) and the word for name (nymos). The Oxford English Dictionary describes ‘demonym’ as derived from the name of an Athenian citizen according to the ‘deme’ to which he belonged (‘demes’ were sub-divisions of land, or districts). Certain districts or regions, even countries, were once adjectives. Argentina was ‘land of silver,’ known in former eras as The Argentine. The Philippines were named for Phillip II of Spain, yet the Spanish called the locals Filipinos. Denizens of Damascus were known as Damascenes, and of Nazareth the Nazarenes. Today, people from Bath are Bathonian while those from Dundee are Dundonian. But don’t called a Scot a Scotchman. As in so many fields of study, it’s the irregular that makes for real interest. And I’m not just talking about Welsh for Wales or Neapolitans for Naples. There are the Exonians from Exeter and the Sarnians from Guernsey. We have Cantabrigians from Cambridge and Brummies from Birmingham. There are Liverpudlians, Aberdonians and the Manx. And we’ve all heard of the Québécois, the Waterluvians and the Indianapolitans. Problem: some demonyms might be an insider’s description of his or her group (an ‘endonym’) but others are someone else’s description (‘exonym’). Here are some examples: ‘Basque’ (exonym) versus ‘Euzkadi’ (endonym), ‘Eskimo’ (exonym) versus ‘Inuit’ (endonym). The People’s Republic of China use the exonym ‘Chinese’ as a demonym but a large number of ethnic minorities retain their own culturally specific designations (e.g. endonyms like Taiwanese and Uighur). The case of ‘American’ as a demonym is especially problematic. Demographically speaking, this term applies to everyone in the continents of North and South America. Canadians are American. So are Chileans, Cubans, Alaskans and Mexicans. Nor does the USA have a useful demonymic adjective, unlike other nations in those two continents. Perhaps it’s hardly surprising that many people from the USA often associate themselves with states, towns and regions. They’re Texans or Michagans first, and then American. But back to the southern continent: what demonyms (granted, mostly exonyms) could we apply to neighbours from particular towns and established neighbourhoods in our various states and territories? Carltonians? Fitzroyals? Parkvillagers? Docklandsmen? Ascot Valetudinarians? Paddingtonians? North Ryders? Pymblers? Glebe-e-jeebies? The Enmorish? Fremantlers? Nedlanders? Cotteslovians? Crawlies? Leedervillains? St Lucians? Wooloongabblers? Auchenflorists? Kelvin Grovellers? Battery Pointers? Sandy Bathers? Bellerivierans? Glenorchids? Norwoodfolk? Forestvillagers? Unleyings? North Terrestrials? It may be safer to own up to being an Australian from Darwin, rather than being a Darwinian or a Territorian, in case someone fails to understand your demonyms. And what of those people living in the ACT? Are they Actors or Activists? Could go either way. 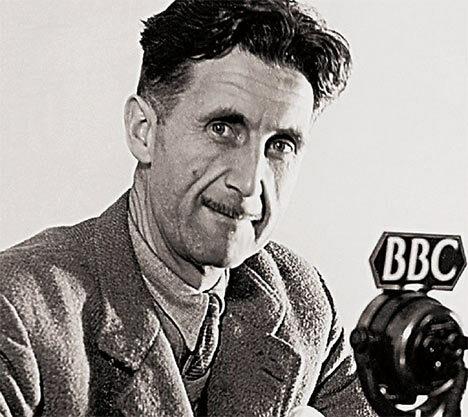 Orwell proposed that if language controls the mind, he who controls language can control society. Supposing there is no word for ‘bad,’ how can anyone conceive of such a notion? Only by a series of qualifiers could a speaker express ‘bad’ as the opposite of good (e.g. ‘un-good’). This theory had been around for some time before Orwell made such imaginative use of it. A tradition of linguistic relativity posited that the structure of language affects how its speakers view the world. This idea came to be popularly known as the Whorf-Sapir hypothesis. Pity there’s no such thing. Benjamin Whorf (1897-1941) and Edward Sapir (1884-1939) never co-wrote any such theory nor did they outline a dichotomy between language determining thought or even influencing thought. The idea had been around since 1820, thanks to Wilhelm Von Humboldt (1767-1835), a Prussian philosopher, diplomat and philologist who regarded language as expressing the spirit of a nation. Sapir, a naturalised American, took more interest in language differences, while his pupil Whorf concentrated on what later came to be known as ‘linguistic relativity,’ or the Whorfian hypothesis. Sapir said that due to vast differences in grammatical systems of language, we could never achieve perfect translation. If language acts as a filter on reality, no two speakers of different languages may reach true understanding. Even so-called ‘world’ languages can be problematic. A common language is the ideal, not the reality; given near-infinite variables of culture, age, demography and race. Sapir and Whorf have had their critics, among them Noam Chomsky of MIT and Steven Pinker of Harvard. These eminent linguists claim that Whorf’s arguments in particular were anecdotal and speculative, rather than methodical. And the man’s most famous claim has since been exploded, that of Eskimos having many words for snow. This one is a real furphy. So-called ‘Eskimo’ speakers, it seems, belong not to a tribe or even to a nation but to an entire language family—the Eskimo-Aleut—indigenous to Greenland, Alaska, Canadian Arctic, Nunavik, Nunatsiavut, and eastern Siberia. This language group is known by several names, including Eskaleut, Eskaleutian, Eskaleutic, Eskimish, Eskimoan, Macro-Eskimo, or Inuit–Yupik-Unangan. Does it have a hundred words for ‘snow?’ Hardly. This family of languages contains approximately the same number of words for snow as English has, though the family of languages can vary in structure, and this may lend variety to how word roots are modified in forming a single word, just as older forms of English and German once did. This process can encompass compound words, phrases and whole sentences. In that group of languages, it’s possible to express concepts such as ‘snow lying on the ground,’ ‘falling snow’ and ‘drifting snow’. Then again, in English we have many terms for bodies of fresh water (e.g. lake, river, pond, puddle, brook, creek, pool and stream) so this hardly offers the remarkable difference Whorf was trying to prove. Though they share credit for the theory, neither Sapir nor Whorf stated a joined hypothesis. It was later scholars who identified two tenets for this non-existent partnership known as the Whorf-Sapir hypothesis: (1) the world is differently experienced and conceived in different linguistic communities; (2) language causes a particular cognitive structure. The first concept was viewed differently by both men; the second concept was never advanced by either. So back to Orwell. A few generations after his great work appeared, has the English author’s approach to language fallen out of favour with linguists? Whorf-Sapir has certainly not made a significant comeback, despite a revivial or two. Yet their ideas remain alive in disciplines tangential to linguistics. Philosophy, anthropology, psychology and literature have taken up Orwell’s themes. For example: what is the relationship between language and thought? Can we conceive of something if we can’t name it? What role does imagination play? What of dreams? Are our faculties innate or the result of learning? Are we hard-wired for language or is our thinking and speech largely the product of constructed categories? Do differences of culture, geography and physiology affect language development in fundamental ways? Can we blame the Australian accent on our envinronment, such as human reluctance to open our mouths lest we let in blowflies? Or do we blame social evolution, our sound merely the result of flattened vowels heard in the mouths of early convict settlers from London slums and East Anglia? At a distance of half a century, with the Soviet bloc gone and the emergence of ‘Globish,’ we have sufficient perspective to ask whether Orwell might have been on the wrong track with Newspeak. If he misjudged Whorf-Sapir, did he get it wrong with his nightmare totalitarian vision too? Is freedom really slavery? Must we truly learn to love Big Brother? Or is our capacity for speech innate, not just the product of experience and reasoning? What about isolated children raised in the wild without human contact during their early years? Can these children ‘think’ in the way that normal gregarious humans do or are they more sensate and intuitive, as we perceive animals to be? George didn’t get far enough with Whorf-Sapir to elaborate, preoccupied with a political and societal dystopia. This language debate is hardly new, harking back as far as Plato. For that founding father of philosophy, ideas were eternal, and our perception of ideas amounted to no more than shadows in a cave. St Augustine took up the theme, and later Immanuel Kant. Do we experience the world through language, as a series of labels for pre-existing forms? Humboldt’s theory, when it arrived, gave the debate a fresh start. He conceived language as the essence of thought, not as labels for universal concepts. Thought, he said, was the grammar of inner dialogue. Diverse languages meant diverse perceptions of the world. Native speakers of German, for instance, would perceive the world in a different way from a Mandarin speaker, or a speaker of a so-called ‘primitive’ language. It’s not only language that the Party controls, it’s agreed perception. Language is just another tool in the arsenal of fear. Winston Smith says: “…I am conscious of my own identity. I was born and I shall die. I have arms and legs. I occupy a particular point in space. No other solid object can occupy the same point simultaneously. In that sense, does Big Brother exist?” The answer comes: he will never know. His reality is an existential dilemma. So whether the Big Bad Whorf was right, and we’re stumbling around Plato’s cave with nothing better than language to guide us, we too will never know. Perhaps we’re all part of one big cave, and there’s only superficial difference to how you or I think and talk whether we’re in Oceania, Eurasia or Eastasia. Whatever the case, Mr Orwell, your nightmare tale is as terrifying as ever, and the warnings are no less important. Propaganda takes on new forms, abusing us via language torture and logic-neglect. We might not suffer ‘ignorance is strength’ but we do have ‘friendly fire’ and ‘regime change’. We mightn’t have to sit through a two-minute hate every morning but we have plenty of hate merchants keen to whip up outrage via talkback radio, spiteful Websites denying climate change and extolling white supremacy, not to mention ‘trolling’ on social media.